Effective April 1, 2019, The Government of Canada implemented its federal carbon pollution pricing system as part of its plan to implement a federal greenhouse gas emissions pricing structure. There are some businesses that may be eligible for exemption of the Carbon Tax. For example, Ontario farmers can receive fuel without the Carbon Tax Charge for use in trucks, tractors and other farm machinery by providing an Exemption Certificate to their supplier. 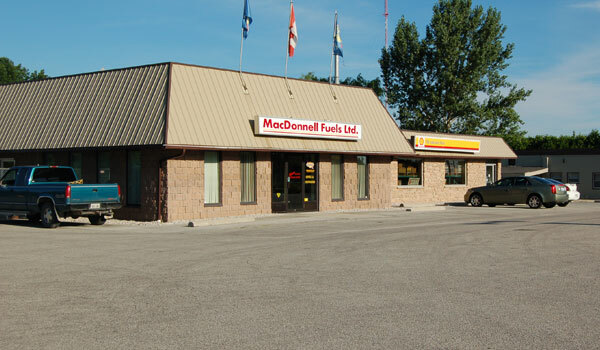 MacDonnell Fuels is a family owned and operated business serving Bruce and Grey counties for over 50 years. At MacDonnell Fuels, our passion is to deliver products and services that go beyond your expectations. We strive to provide fair pricing on the best selection of fuel products and provide reliable, consistent delivery to all our clients. By incorporating our strong family values into every aspect of our business, we hold ourselves accountable, work hard, and treat every customer like family. We take every client interaction not only as a chance to provide excellent service, but to grow, shape, and strengthen MacDonnell Fuels. We are committed to improving the quality of how we do business by keeping up-to-date with the latest technological innovations and by striving to excel beyond industry standards. We are constantly learning and growing in order to improve our service for the benefit of our customers and their equipment. Total customer satisfaction is our number one priority. By remaining professional, courteous, and helpful towards our clients at all times, we endeavour to ensure that every customer receives the attention and service they deserve. At MacDonnell Fuels, we provide automatic deliveries, budget plans, flexible payment options as well as seasonal fill-ups. Our Service Team can help you choose the most efficient oil heating options for your home. We strive for on-time fuel delivery, so you can make the most of those precious daytime hours. In planting, growing and harvest time, we’re just a call away with the bulk fuel and lubes you need to get the job done. We can keep your fleet moving with automatic delivery to your on-site facility. We offer excellent value and a quality product to our customers. Take advantage of savings by purchasing your lubricants in bulk. We move full loads of petroleum products throughout Ontario, utilizing loading terminals in Sarnia, Hamilton, London, Oakville and Toronto. Freight rates and service contracts are available upon request. Visit us Monday to Friday from 7:00am to 5:00pm, or send us a message using the form on our Contact page. Subscribe to our email list to be the first to know about updates, promotions, news and events!